THIS IS ABSOLUTELY NOT FAIR !! 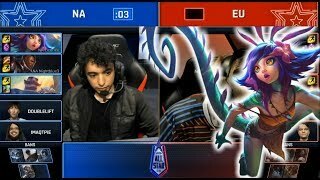 UNSTOPPABLE NEEKO JUNGLE | RIOT WHY DID YOU BUFF HER?! THIS IS HOW I GOT RANK 1 JUNGLE!! FULL AP MAX STACKS ELISE JUNGLE | THE SPIDER QUEEN IS BACK! NEW PRETTY KITTY RENGAR JUNGLE SPOTLIGHT! (33 KilIs) CRIT RENGAR IS SO RIDICULOUS | PENTAKILL?! NEW PRESTIGE EDITION FUZZ FIZZ JUNGLE SPOTLIGHT!! (19 KilIs) THIS IS THE BEST PRESTIGE SKIN EVER!! NEW TEEMO REWORK JUNGLE SPOTLIGHT! (31 KilIs) HE IS ACTUALLY A JUNGLER NOW | TEAM MADE ME RAGE QUIT! THE MOST RIDICULOUS ONE-SH0T EVER!! (27 KilIs) 1000+ AP DIANA JUNGLE | HOW IS THIS DAMAGE FAIR?! Nightblue - I Really Wish I Had My Ult Now..